The Suzuki Vitara has been updated for 2019 with new booster jet engines providing more power and efficiency, exterior design updates, new exterior colours, new interior improvements and new advanced safely equipment. New, elegant front face with redesigned grille and lower bumper. Upper instrument panel changed to soft touch material. Distinctive and stylish LED rear combination lamps. New instrument cluster design with colour information display. At speeds of up to 5mph whilst in reverse, the vehicle uses two rear mounted side radar sensors to assist the driver by alerting them of approaching vehicles on either side when reversing out of car parking spaces. If a vehicle is detected, the driver is given both a visual alert on the multi information display and a warning sound alert. This assists the driver to manoeuvre more safety out of parking spaces where vision is obscured on either or both sides. Lane changing at speeds above 10mph is made safer by two rear mounted side radar sensors capable of detecting vehicles located in or approaching the rear blind spots on either side of the vehicle. When a vehicle is approaching or detected in a rear blind spot, a warning LED icon is illuminated in the relevant exterior mirrors. If the driver indicates to change lanes, a flashing LED icon is accompanied by a warning sound alert. This system monitors the road for traffic signs. When it detects signs such as speed limits, it displays the sign on the centre display. When multiple signs are detected, a maximum of three signs can be displayed at once. In addition to Adaptive Cruise Control on SZ5 Automatic models, the Stop & Go function assists with accelerating and braking whilst maintaining a safe distance from the vehicle in front. The Adaptive Cruise Control with Stop & Go can even brake the car to a full stop for up to 2 seconds behind a stationary vehicle, before automatically moving off when the vehicle ahead moves. The 1.6 petrol engine from the Suzuki Vitara 2018 model line has been replaced with he new more powerful and efficient 1.0 Boosterjet and 1.4 Boosterjet engines. 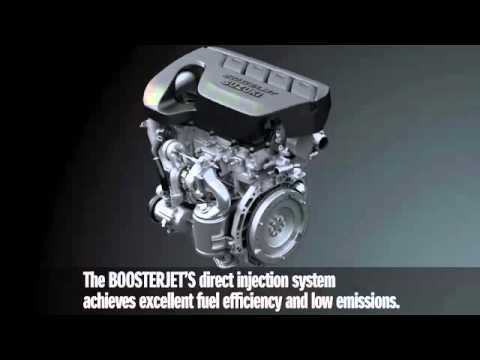 The new 1.0 Boosterjet engine generates 170nm of torque and 111bhp. This compares to 156nm of the old 1.6 engine. With the 1.4 Boosterjet generating 220nm and 140bhp. Click on the video to learn about these amazing new engines. The new 2019 range is available from £16,999 and is offered with 0% APR finance (HP or PCP) across the range. For further details click here to see all our Vitara offers.